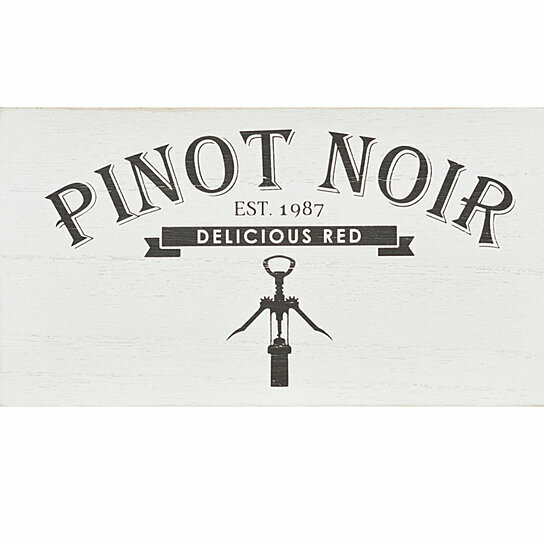 Accessorize a desktop or wall with the Stratton Home Decor Pinot Noir Box Wall Art. This fun wooden block is painted in distressed white and overlaid with a quote that reads: "Pinot Noir." Hang it by your bar or lean it against a bookshelf. Accessorize a desktop or wall with the Stratton Home Decor Pinot Noir Box Wall Art. Color: White. Material: 100% MDF.